With new advanced plug-and-play real-time Smart Output communications, McCrometer’s FPI Mag Flow Meter, SPI Mag Flow Meter and Ultra Mag Flow Meter all provide a highly effective solution for automatic meter reading (AMR) and advanced meter infrastructure (AMI) in support of utility smart grids that help conserve valuable water resources, reduce expensive non-revenue water costs, and simplify daily operations and routine maintenance. Water engineers and technicians will find McCrometer has a versatile Smart Output mag meter solution that is Sensus or Itron system compatible for nearly every type of AMR and AMI application. These accurate, reliable cost-effective mag meters are available for line sizes from 4 to 138 inches in hot tap or full bore styles, which can be solar/battery or AC/DC powered. Smart Output mag meters from McCrometer are designed with a highly intelligent module in their transmitters that is similar to a communication protocol. This capability allows McCrometer mag meters to transmit data on a schedule or on demand, as well as receive diagnostic queries to ensure or update meter operation. There’s no need for technicians to gather flow data manually or check meter status with McCrometer’s Smart Output mag meters. McCrometer’s Smart Output technology is backed by the company’s 60-plus years of solving flow measurement problems. It gives water utility managers the flexibility they need to network the flow meters across their distribution systems with the AMI solution of their choice. 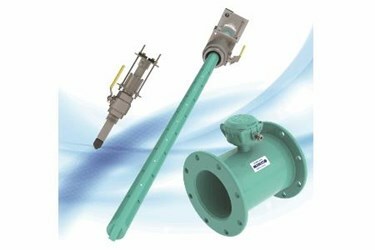 McCrometer’s advanced liquid, steam and gas flow measurement solutions solve complex challenges in Municipal/Industrial Water & Wastewater, Process Control & Plant, Electric Power Generation, Institutional Facilities, Oil & Gas and Agriculture. The company’s products and systems are found in thousands of installations worldwide. Its products and systems meet many of the world’s most demanding industrial, safety and quality standards. For more information, visit www.mccrometer.com.